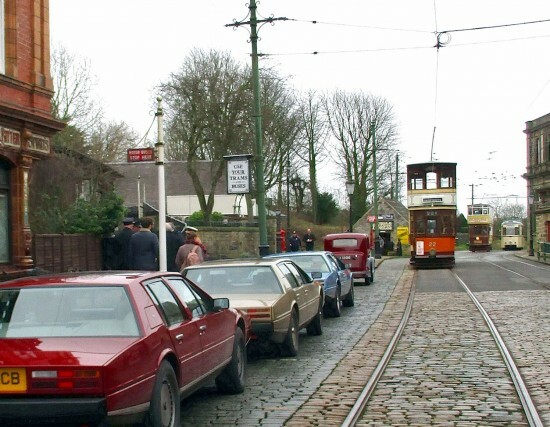 As we reported at the weekend another season of operation is now underway at the Crich Tramway Village with daily opening starting on Saturday 16th March. 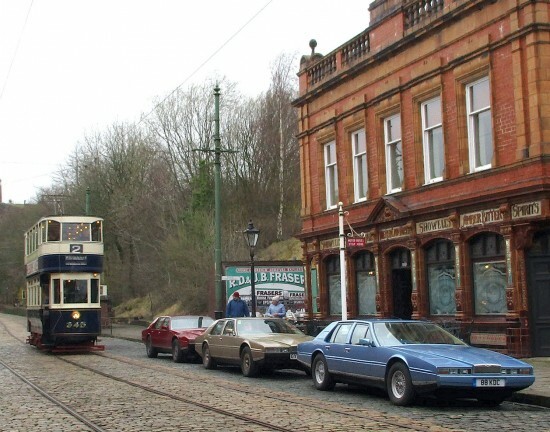 The first day saw Leeds pair 345 and 399, Glasgow 22 and Berlin 223 006-4 all in service whilst there were some visiting Aston Martin cars on site. 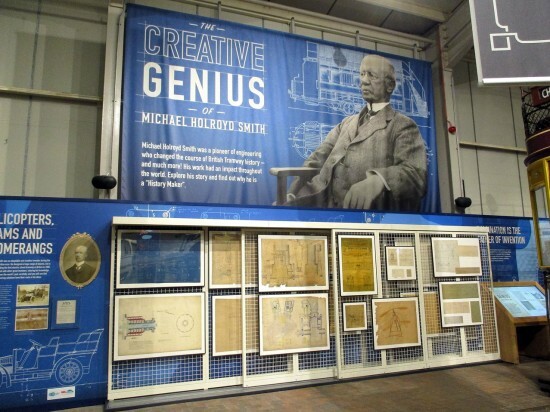 Hazel Quarmby was also there are provides us with the following photos. Since the first day a further four trams have been used for the first time – including the return to action of Oporto 273 and the first open topper of the year in the form of London County Council 106. Also used has been Chesterfield 7 and Blackpool 630. First passenger tram of 2019 was Leeds 399 which is seen here at the current temporary northern terminus of Wakebridge before returning to the main museum site. Looking down the museum street with Glasgow 22, Leeds 399 and Berlin 223 006-4 all in situ. On the left are visiting Aston Martin cars. 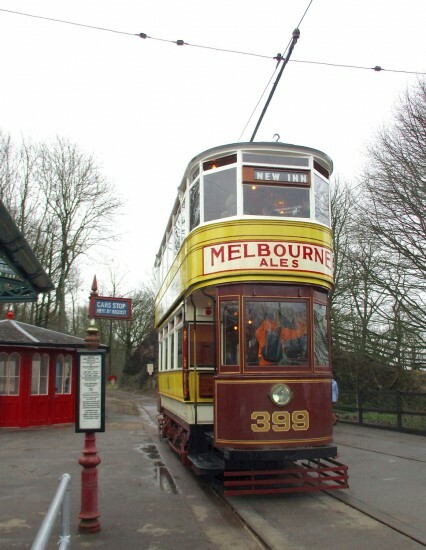 The third tram in service was Leeds 345 which is seen passing The Red Lion and more of the cars. 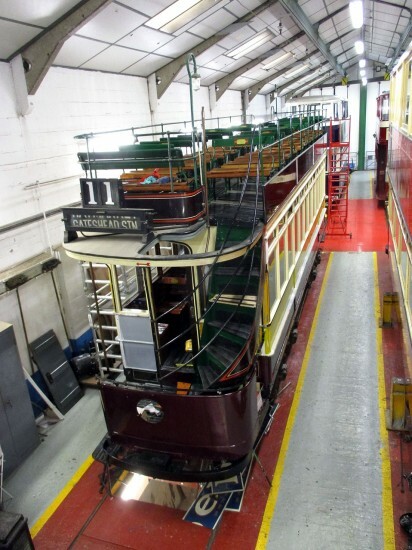 In the workshop and progress is being made on the TSO supported overhaul of Newcastle 102 which is including a repaint.